A sink's p-trap is a u-shaped drain fitting used in plumbing that "traps" a small amount of water after the sink is used. 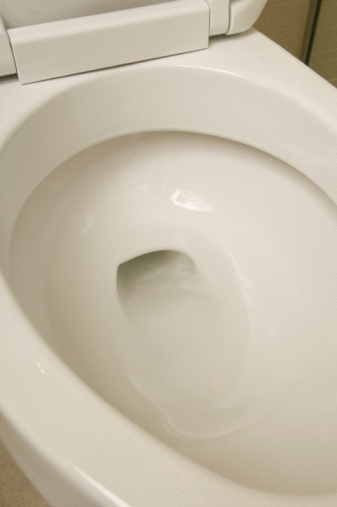 The water seals the drain line to prevent sewer odors and gases from passing through the drain and entering the home. Older sink drain assemblies typically were made of a thin metal and standing water in the p-trap corroded the fitting and caused leaks. Modern fittings are made of ABS or PVC plastic, with vinyl seals that can break or distort and lead to leaks. 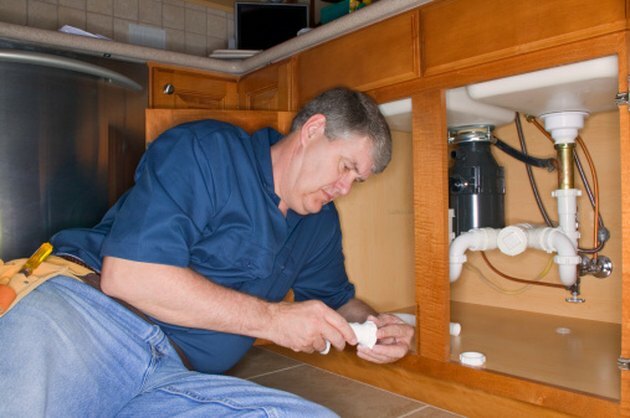 When a leak occurs, one solution is the replacement of this inexpensive plumbing fitting to restore the drain line to its proper function. Remove the existing p-trap fitting by loosening and detaching the end connection nuts from both ends using a pipe wrench or adjustable pliers. Place a small bucket or container beneath the p-trap to catch water remaining in the fitting. Move the p-trap connection nut that remains on the sink's vertical downpipe up slightly and slide the plastic compression ring down to remove it and the nut from the downpipe. Remove the end connections nuts and compression rings from the new p-trap fitting. Slide one of the end connection nuts from the new p-trap onto the downpipe, followed by one of the compression rings. Orient the connection nut with the threaded opening downward and the beveled edge of the compression ring toward the bottom end of the downpipe. The compression ring will slide snugly onto the downpipe and hold the connection nut in place. Slip the vertical opening of the p-trap up onto the downpipe until it stops. Thread the connection nut installed in Step 4 onto the p-trap and tighten it by hand. Slide the remaining end connection nut from the new p-trap onto the drain pipe from the wall, followed by the remaining compression ring. Orient the connection nut with the threaded opening toward the p-trap and the beveled edge of the compression ring toward the open end of the drain pipe. Align the other end of the p-trap fitting with the drain line from the wall and tighten the connection nut onto the end by hand. Tighten both of the end connection nuts using a pipe wrench or adjustable pliers to complete the p-trap repair.